Worldwide renowned antenna rotators for up to 2 m2 antenna surface. The DCU-3 control unit is equipped with both, a serial and an USB interface. This allows easy integration of the rotator into the station. 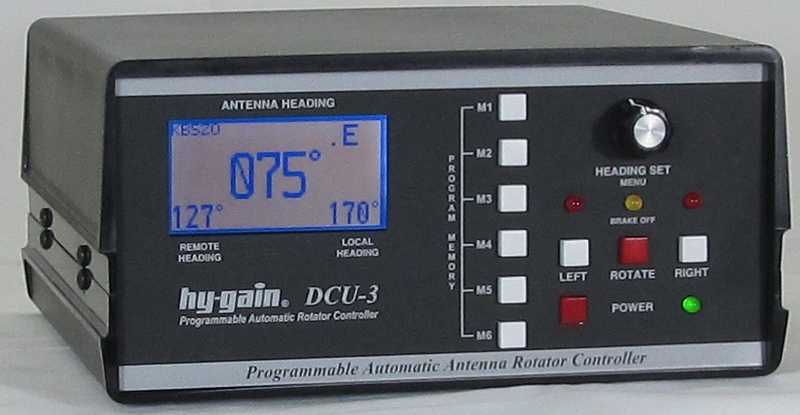 The rotator can be directly controlled by Ham Radio Deluxe or similiar programs. The DCU-3 sizes are 215 x 110 x 228mm (WxHxD). HAM-IV for up to 1,6m2 antenna surface and T2X 'Tailtwister' for up to 2,2m2 antenna surface.